We love the name of this granite, it immediately conjures up emotions of Italian romance novels and luxurious opulence. 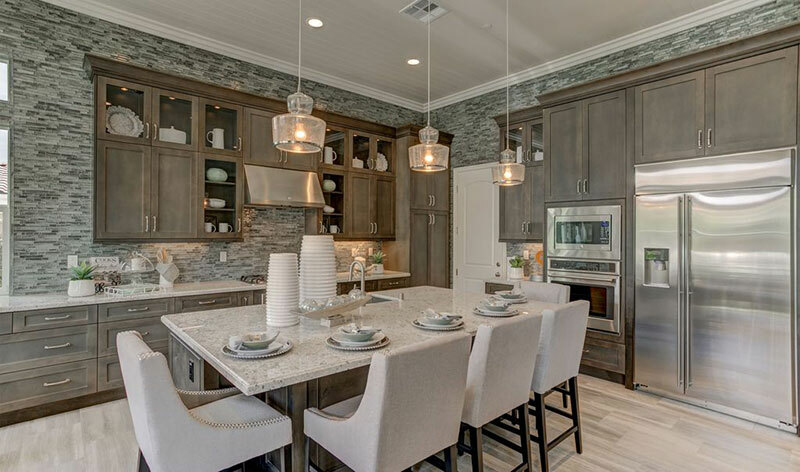 Bianco Romano granite countertops will bring this elegance into your kitchen for your family to enjoy every day. Bianco Romano granite is a stone that is quarried in several quarries in a large area of Brazil. 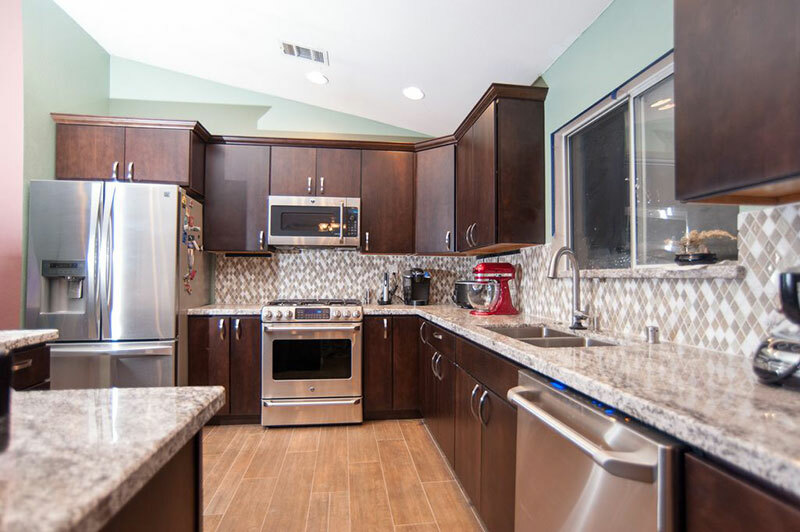 Like most other white granites, it is prone to staining from liquids or excessive heat. 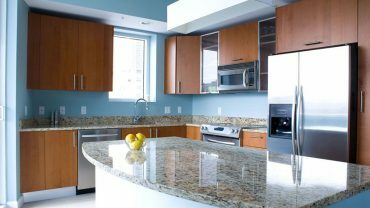 This granite is mainly why it is used as a material for kitchen countertops instead of flooring. 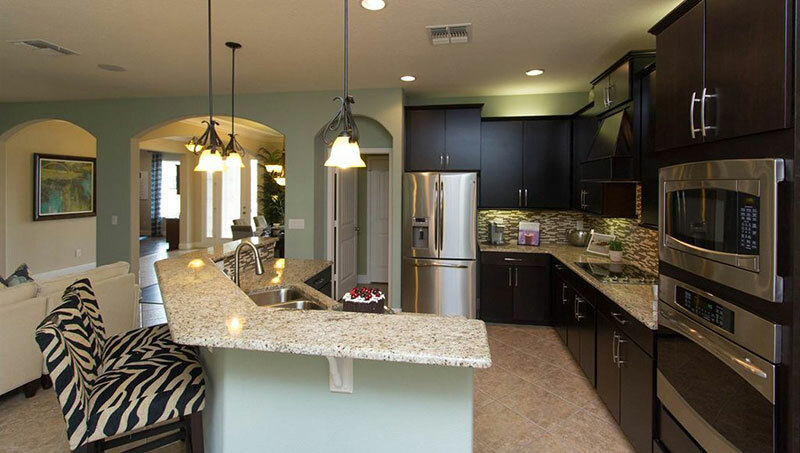 So it is important that you keep Bianco Romano granite countertops dry and clean as possible. 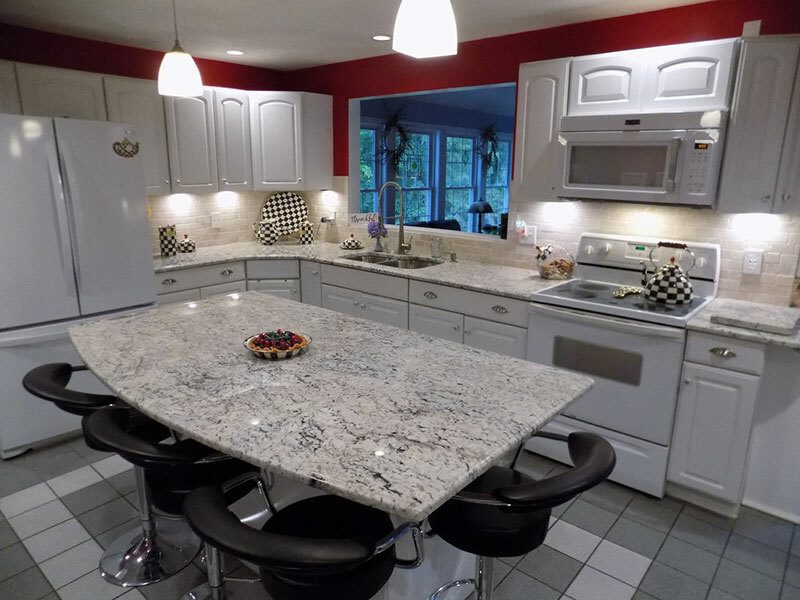 Because this granite is not heavily patterned with large mineral deposits any staining that does occur could be easily visible if it occurs on a white area. 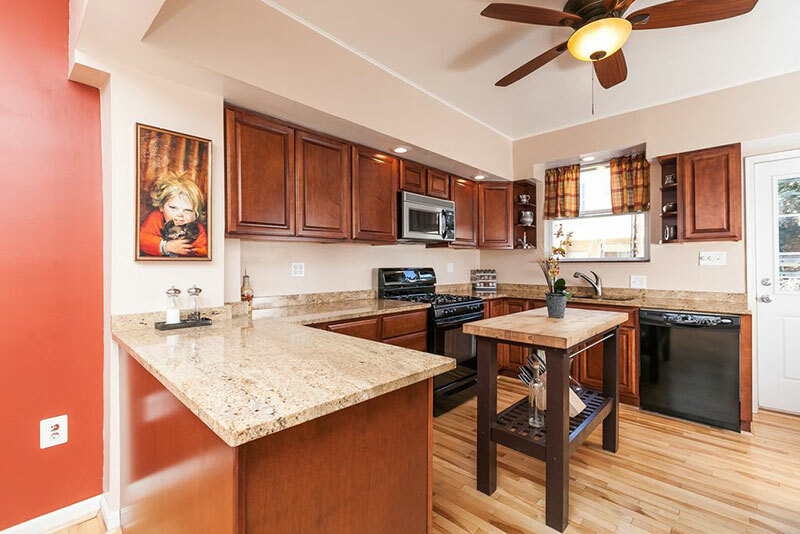 The pristine nature of this stone is what attracts many people to it, and even the smallest stain can ruin the overall appearance of your countertops. 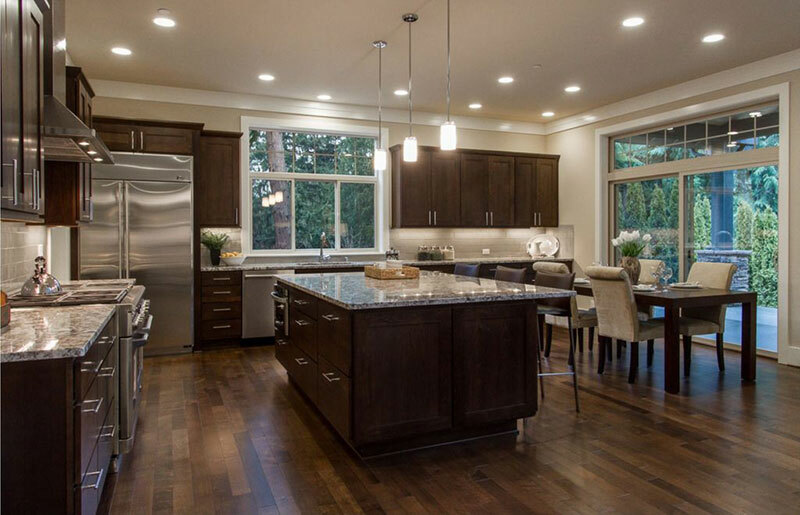 Despite all this doom and gloom, you don’t need to stress too much over this, as the countertops will not stain immediately upon coming into contact with a liquid. But just make sure any spills are cleaned up reasonably quickly – don’t let them stay wet overnight. What Color Is Bianco Romano Granite? 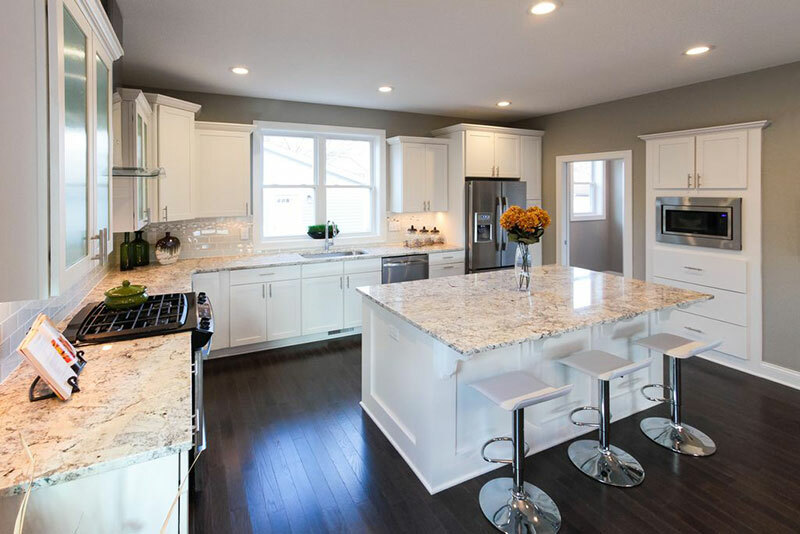 Bianco Romano granite is a predominantly white stone that has brilliant white bedrock. The white is intertwined with long gray mineral veins that are usually reasonably thin (but can be found in occasional larger patches). The shade of gray varies between exceptionally light (only just lighter than the bedrock) and a deep dark blue-grey color in places. It never gets dark enough to look black (which would otherwise make the stone have too much contrast for many people’s tastes). 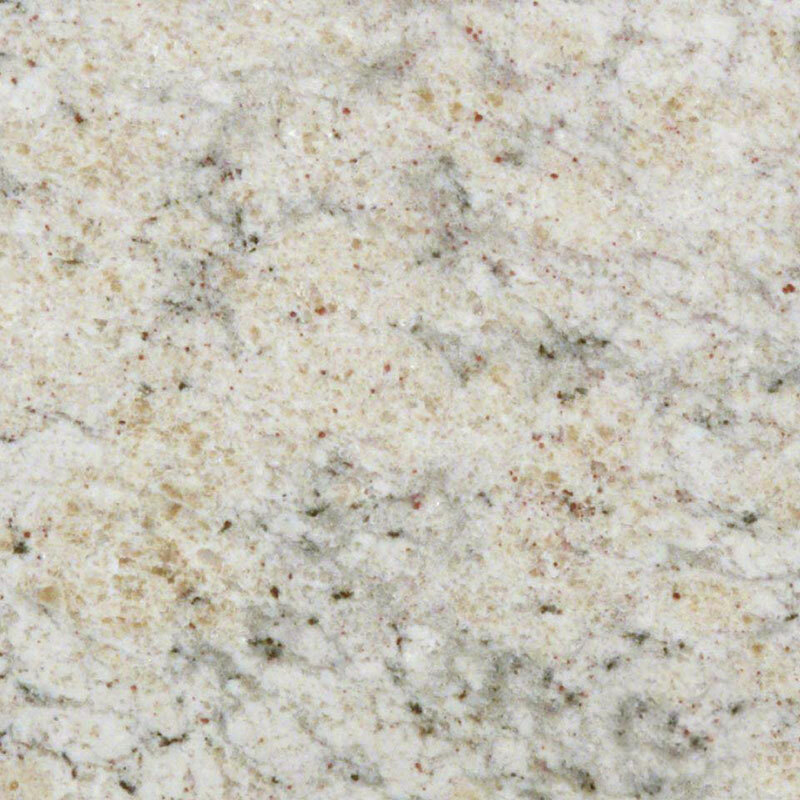 The crowning jewel of Bianco Romano granite is the occasional tiny red spots that are dotted around the entire slab. They are a deep crimson in color and are rarely larger than the size of a raindrop. They are found randomly throughout the stone and can be found in clusters, or on their own. 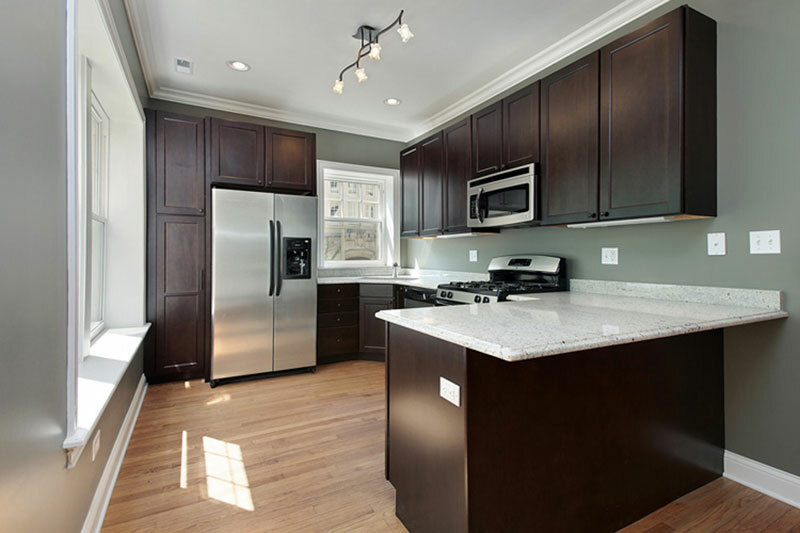 What Cabinet Colors Go Well With Bianco Romano Granite? 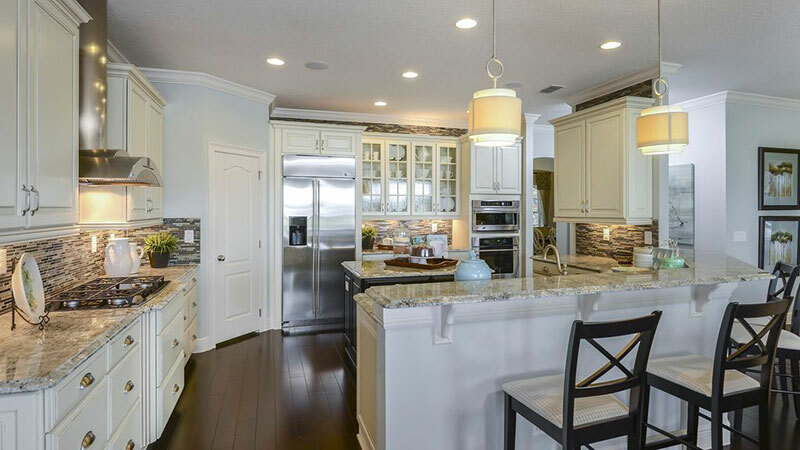 We particularly like the combination of white kitchen cabinets with Bianco Romano granite countertops. It creates a lovely sweeping continuous feel throughout the room without being too boring and plain. The gray mineral veins that run through the stone give it a little depth and breaks up the continuous whiteness that would otherwise be overpowering. But the reason we really like the combination of white cabinets and Bianco Romano granite is due to the little red spots that the stone is famous for. With a pure white kitchen they really, really stand out for the beautiful little additions they are. However, this granite will look beautiful in kitchens with darker cabinets too! 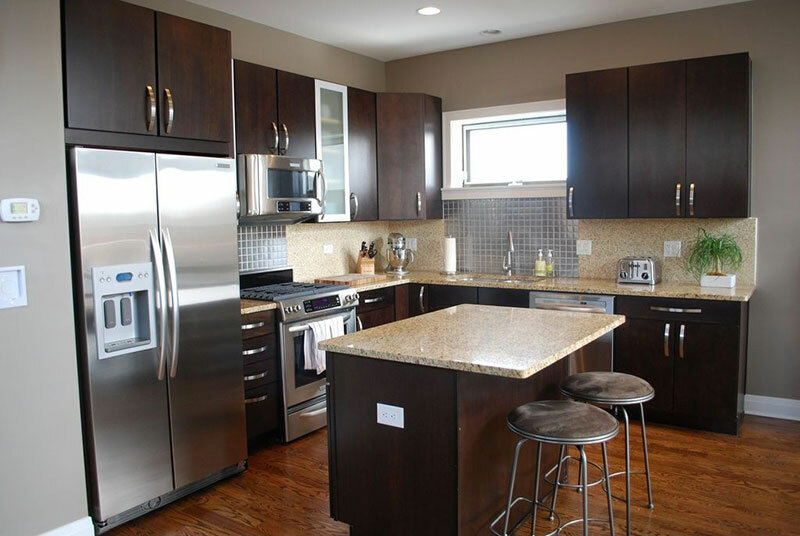 There is quite a contrast between dark brown cabinets and the white of the stone (as the gray mineral content is usually quite subtle compared to some other kinds of granite). It can create this contrast that many people aim to achieve – without it looking too shocking. 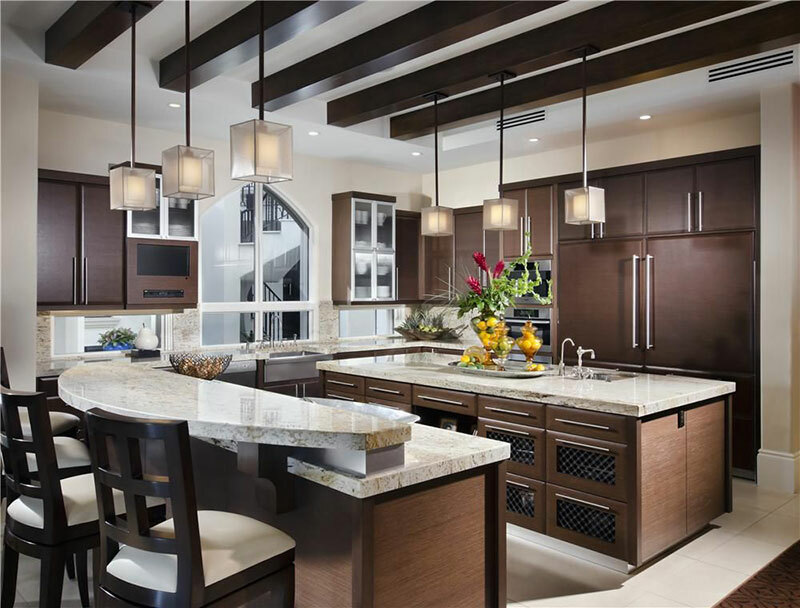 The red minerals can be drowned out slightly from a distance with darker cabinets because they are reasonably discreet, to begin with, and are reasonably infrequent throughout the stone. 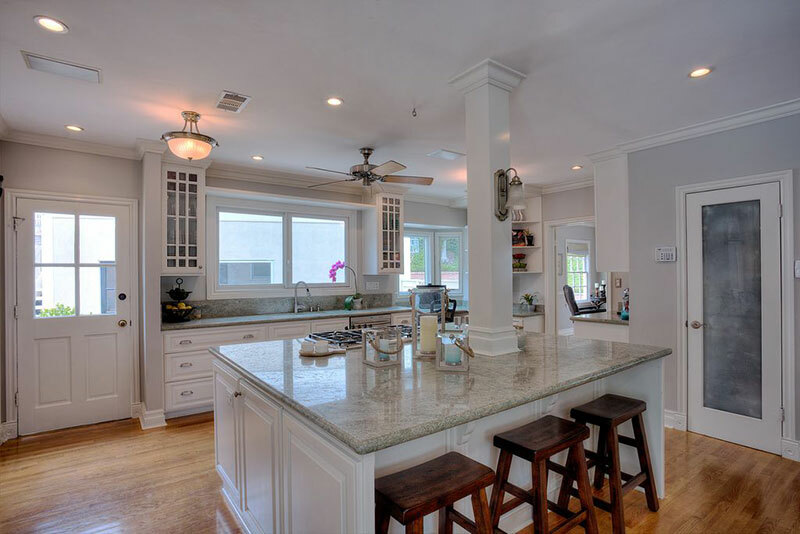 How Much Do Bianco Romano Granite Countertops Cost? 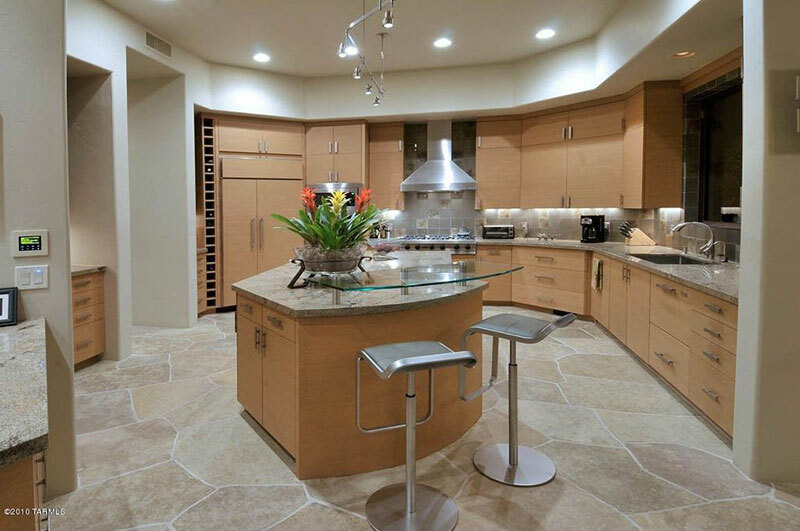 Despite the stunning beauty of this stone, it is a mid-range granite. This is mainly thanks to it being quite an abundant resource that is found over a large area of Brazil. 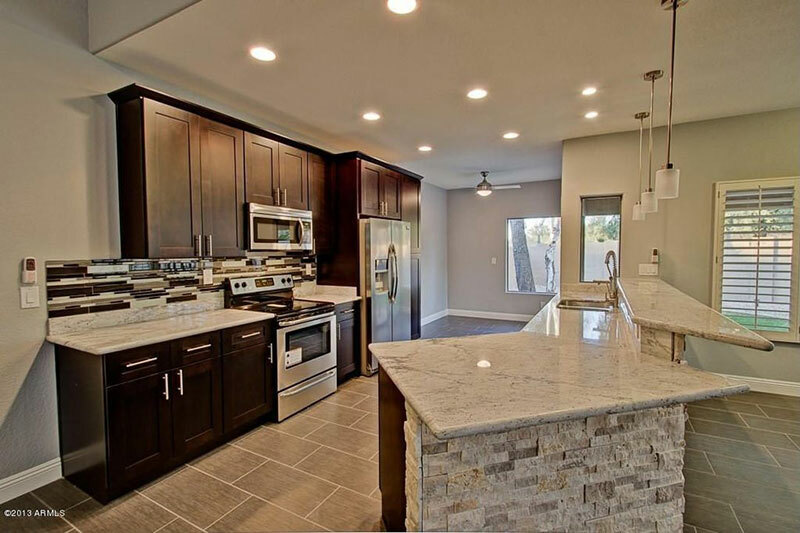 Prices depend upon location, but we expect you to be able to pick a one-meter square slab of this granite for around $200 to $250 per square meter (based on a 1.5-inch thickness). 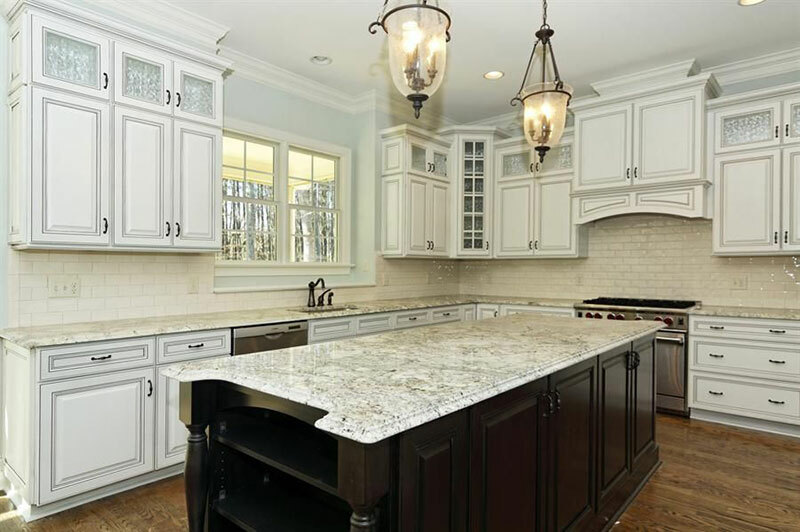 This is one of our all-time top white granites. The combination of its subtle grays, its white bedrock, and the crimson mineral deposits is stunningly beautiful. When you combine this beauty with the very reasonable price – it’s easy to see why it’s a winner in our eyes.